I’m a Solutions Architect with a keen focus on cloud, virtualisation and storage. I spend my time helping customers to translate their business requirements into technical solutions at Rackspace, a leading global managed services provider. Working across multiple industry verticals since 2004, I’ve been involved in designing, building and managing numerous estates, as well as providing technical consultancy for a number high profile projects. I hold various vendor certifications from AWS, VMware, Microsoft, Citrix and Cisco, as well as architectural qualifications from TOGAF and the BCS. A keen blogger, podcaster, community member, vExpert and regular attendee of the London and UK VMUGs, it’s a struggle to keep me quiet! Oh yeah, and I also love memes! I am currently a Presales SE working for a prestigious global I.T. company in the South East of the UK. This involves in all aspects of solution mapping to customers pain points and educating customers in next generation technologies spanning core datacenter infrastructure, cloud and mobile. My specialisms are in the Datacenter / Server / Business Continuity / Storage / Software driven space and I’ve evolved during this journey of approximately 15 years into somewhat of a virtualisation and all things tech junkie. My main passion is to learn lots and share knowledge to the wider community. Having been both a customer and now a vendor I hope you find my thoughts interesting and if you want to reach out to me see below. I am probably the youngest of the kids on the block out of the founders and have a passion for VMware and also Apple based products. I may have put some of you to sleep during the lightening talks at London VMUG previously! I am keen to add new and different ways of accessing your home lab or even new ways of getting bang for your buck out of your production environment. After some time working as a consultant I joined VMware as a Technical Marketing engineer for vSphere. When I’m not blogging or chatting to folks at VMUGs and the like, I enjoy getting a little political and even sometimes talking about technology on Twitter. I occasionally even get my act together enough to put some content up on my blog. You can even find me on LinkedIn, if that’s your cup of tea. 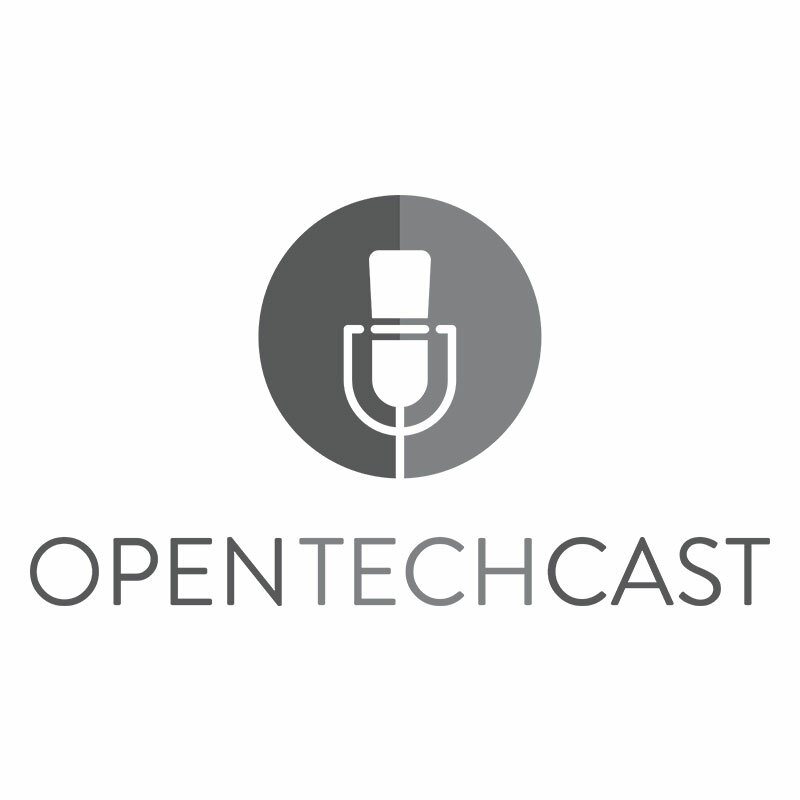 I’m OpenTechCast’s benevolent (and token) northerner, and the member of the team most likely to be suffering from Imposter Syndrome at any given moment however once I get talking you may find it tough to get me to stop. I *love* the rush of public speaking, and sometimes I even get to talk about stuff I might have more than a 101 level understanding of. I hold a variety of certs that probably mean very little from the likes of VMware, Microsoft, Dell EMC, IBM, Veeam and a few others. I don’t like to talk about them, they kept me awake at night too much. I am a Cloud Architect, currently working for Atos. I focus on all things related to virtualisation, storage, cloud and whatever comes in between. Being in the industry for about 20 years, you can call me ancient. If you feel that inclined, I can bore you with stories on how we used to manually park heads on a hard drive or bound protocols to network cards. Seriously though, I’ve designed, deployed and managed many enterprise environments, involving virtualisation, storage, directory and mail services. I’ve also provided services to VMware on similar projects. I started blogging about 7 years ago so that I can share some of my knowledge with the community. Probably due to that, VMware made me a vExpert 4 years ago and also a vExpert NSX recently. I built my first home lab system back in 2001 so I am very keen to help anyone trying to do that. For that reason, I became a founding member and contributor to Open HomeLab Wiki. I am also a regular at UK and London VMUGs so please do come and have a chat whenever attending.